Eclectic home schooling materials vary by family, especially those experiencing full time RVing. Look at this research on homeschooling to see if eclectic homeschool is right for your situation. Many different approaches are available when it comes to homeschooling while full time RVing, which means a variety of different home schooling materials are available today. While some parents find a traditional textbook approach to work for their needs, others prefer to go with online curriculum or other materials. Some even decide to mix up their home schooling materials, using the options that work the best for them after doing some research on homeschooling supplies and materials. This type of a homeschool approach is known as the eclectic approach. Many families that are experienced in homeschooling and that have spent plenty of time doing research on homeschooling end up going with this approach while full time RVing. It is another option to consider if you're going to homeschool while RVing, so take a closer look at this unique educational option. Eclectic homeschooling is basically a type of homeschooling that doesn't focus on any specific curriculum or specific guide for the education. Instead, this method requires looking at various home schooling materials, doing some research on homeschooling options, and then choosing the options that work the best for their needs. Various home schooling materials, approaches, and concepts can be used together when using an eclectic approach. A combination of unschooling, classical education, Charlotte Mason, or even workbook options, can be used to provide kids with their education. Usually parents pick out home schooling materials that fit the interests and learning style of their child, which can be a big advantage. Of course, the choices should not be made haphazardly. Careful research on homeschooling should be done before making decisions while full time RVing. Every child learns in a different way - they all have unique learning needs. This truth is what led to the eclectic homeschooling method that makes use of various home schooling materials. One curriculum or method may not be able to address all the learning needs of a child, which is why this option can work to provide kids with a well focused and interesting education that provides results. What Materials are Needed to Start? If you're wondering what homeschooling materials are needed to get started with the eclectic homeschooling method, you'll find that this can vary, depending on the family. Every family will probably choose different combinations of materials after doing their research on homeschooling and considering the unique needs of their child. You may find workbooks that can help your child in a specific subject, while classical book training may be what you need for another subject. It's important to take your time to consider your options carefully before purchasing your home schooling materials. Decide what will work best for your children and then make decisions on the materials that are needed. It's important to look at the pros and cons of using the eclectic method in relation to RVing. Here are several pros and cons to keep in mind so you can decide if this option really will work for you. One of the main benefits of the eclectic method is that any ineffective programs can be dropped. If certain home schooling materials don't work, you can drop them and find something else that provides you with better results with that specific child. Another pro of this method is that programs can be tailored for specific children. Consider the learning needs of your child and do some research on homeschooling. This allows you to tailor make programs for each child to help them learn effectively. 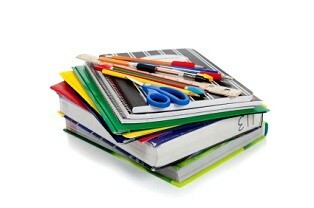 Since you are the one choosing the homeschooling materials for your child, there is plenty of flexibility. For RVers, flexibility is definitely important and you will have it when you decide on eclectic homeschooling. On the negative side, it's easy to end up collecting too many homeschooling materials. Since you can drop programs that are ineffective, materials that you're not using can build up, which can be a problem when you have only limited space in an RV. The cost can be a problem as well. If you haven't done your research on homeschooling carefully, you'll end up purchasing items that don't work and when you decide to go another route, you end up wasting money. For parents just getting started homeschooling, it can be intimidating to go through multiple materials and choose the best one. Often parents who have not settled on a homeschooling curriculum will start with a more standard option, and in time become eclectic. Overall, the eclectic method of homeschooling has a lot to offer. It is definitely flexible and can be tailored to individuals, which allows you to go with home schooling materials that work best for your kids. Just be aware of the possible cons as well before you make a final decision. Plenty of research on homeschooling ahead of time can help you to ensure you make the right decisions and that you purchase the right home schooling materials for your needs while full time RVing.